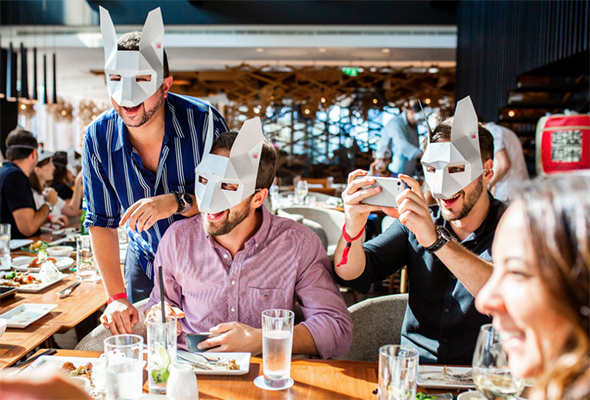 Dubai’s brunches are stuff of legend, and if you’re looking to mix up your Friday feasting plans, Renaissance Downtown Hotel, Dubai has got you covered with two brilliant brunch options that cater to all tastes. At Morimoto, Dubai, Japanese foodie fans can sink their chopsticks into a celebration of top quality food and drink at the self-titled restaurant by acclaimed chef Masaharu Morimoto. The brunch kicks off at 12.30pm where pre-drinks are served up to a lively and eclectic mix of house beats before making their way to their table to tuck into some top quality Japanese dishes. It’s a mix of dishes served to the table as well as live cooking stations where you can help yourself from the open kitchen and an unlimited sushi bar. It’s all served up to free flowing drinks such as zodiac cocktails, house beverages and a selection of sake as well as Japanese-themed entertainment and live DJs. For a more relaxed afternoon of fancy French farmhouse food, book a table at the Bleu Blanc Friday Brunch. Sit back and relax as you embark on a journey to the south of France through plate after plate served at your table. 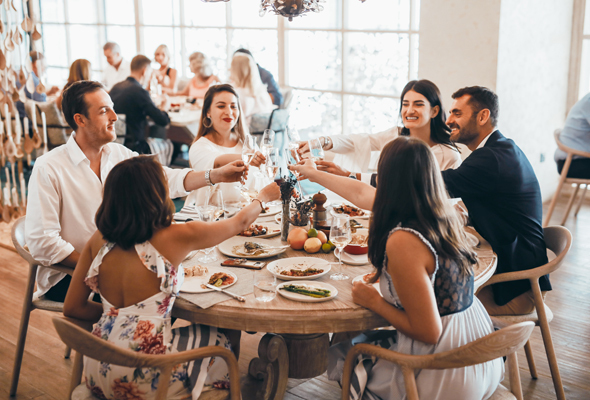 Dishes designed to share such as charred tiger prawns, avocado & egg tartine, black angus brisket, roasted cauliflower and mac & cheese will all be brought to the table, served alongside an array of signature drinks, designed by internationally acclaimed bar guru Sam Ross. Before you leave, snap your insta-shot at the gorgeous blue front door.